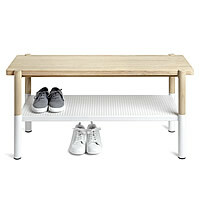 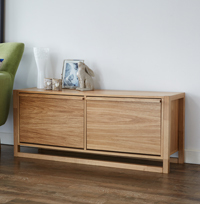 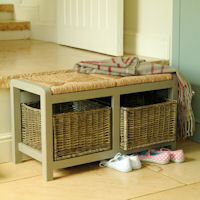 It took us a while to find a shoe storage bench with a bit of style AND that had a decent built quality, but we think you'll approve of the Merton shoe storage bench. 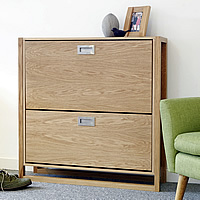 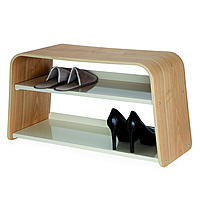 Designed by Ristomatti Ratia, this stylish slim-line shoe cabinet is finished in a choice of oak or walnut. 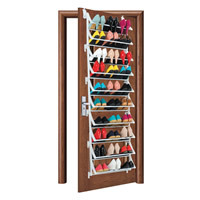 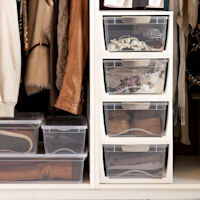 It'll neatly store away up to 15 pairs of assorted shoe sizes up to adult size 10's and offer many years of service. 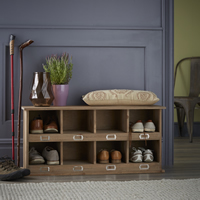 The clean lines on this robust shoe storage cabinet mean that it'll effortlessly blend into any hallway and really help clear your space of those messy piles of shoes that everyone always trips over. 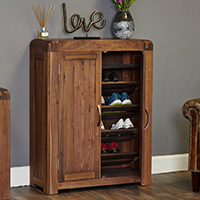 Better still, unlike some of the poorly made alternatives that we've tried and tested, the Merton shoe cabinet is ventilated at the rear to stop those smelly shoe odours that can often build-up inside. 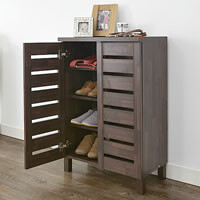 STORE being STORE we've searched long and hard for a decent range of shoe storage cabinets. 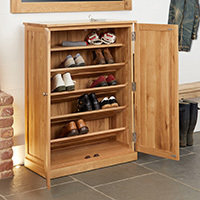 In fact it's taken us nearly 2 years of testing and rejecting the poor quality shoe storage units that are currently available in UK. 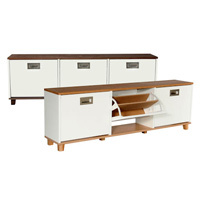 In the end we had to travel all the way to the chilly Baltic Sea to find this stylish range from the Gulf of Finland which is Exclusive to STORE.